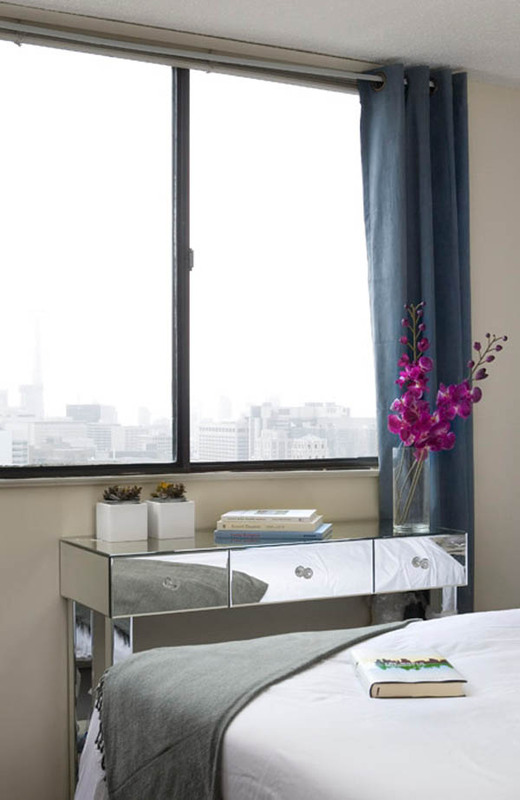 When it comes to mirrored furniture, your surrounding decor should be simple and clean. As the furniture is reflective, you should take care to make sure that what it is reflecting is also clean; that is to say, as is the case with the above image, if your mirrored dresser is facing your bed, your bed should be made. On the other hand, there is something to be said about a bit of organized chaos. In the above image, you have just the right amount of what I like to call an artful mess. It might be a touch cluttered to some, but you can tell that everything has its place and is organized neatly. 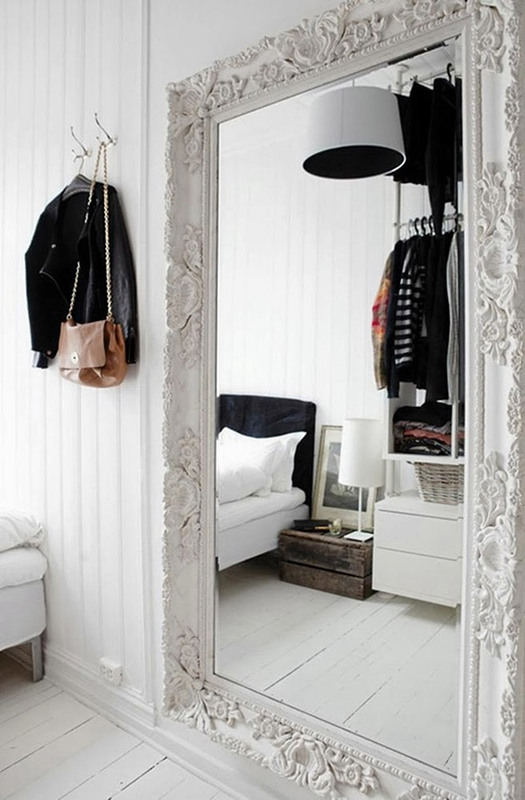 A large mirror paired with white decor brings extra light into the room, perfect for an outfit selfie. A great way to bring some extra interest into a room is to DIY (or buy) a unique piece, either to be the focal point, or to offset a focal point, as in the above image. The art-deco meets shabby chic mirror here works to keep things interesting while not taking anything away from the rest of the room. For the crafty and handy ones, this can be done with a little elbow grease and some wood, but with a bit of patience, a bit of washi tape would do too. Sometimes a mirror doesn’t have to be the focal point at all. 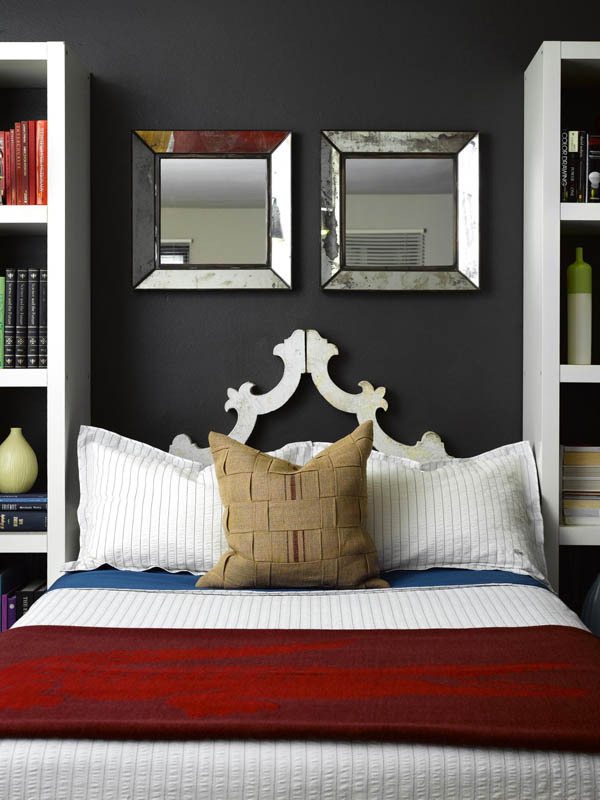 In this case, the mirrors are a small way to keep things interesting above the bed. With white furniture and a somewhat ornate headboard, there would be no need for a piece of artwork in that space. The key in this space is obviously symmetry, with two bookshelves and the two mirrors. In a small space such as this one that needs to be filled, being entered is key. 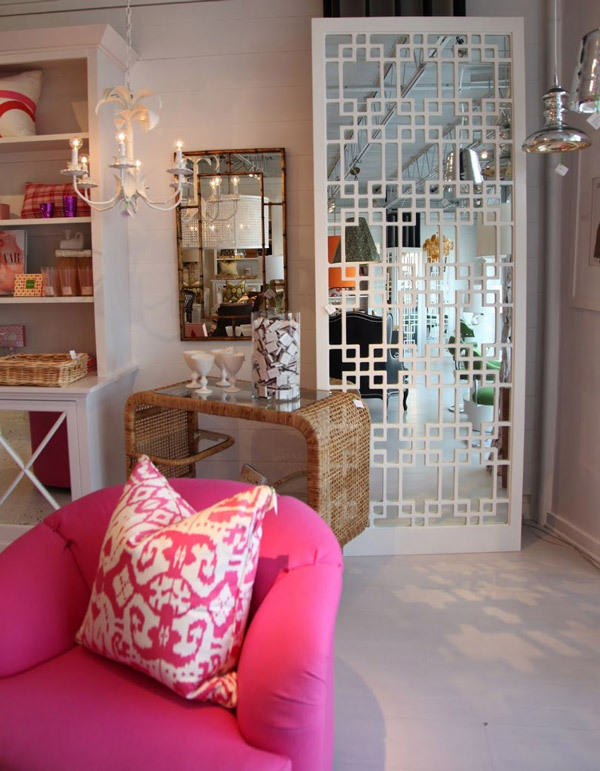 Continuing on from the previous example, how about using mirrors only as an accent to furniture? By now, everyone knows about the mirrored armoires and vanity tables from Pier 1’s Hayworth collection, but that same collection actually has some understated pieces like the ones above. 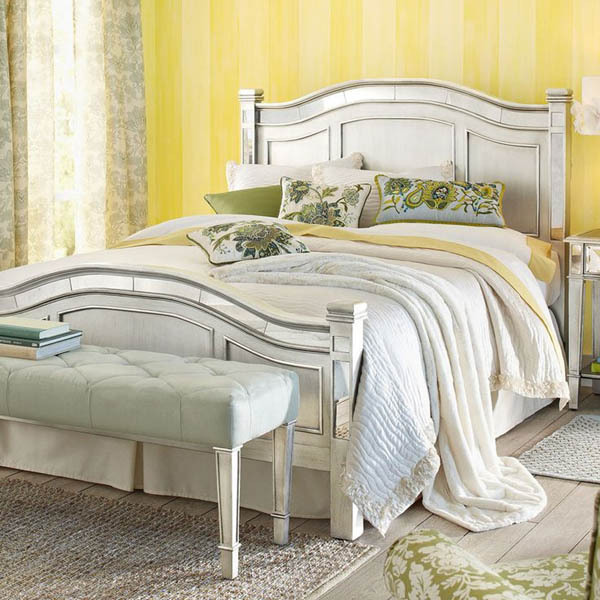 A basic bed frame is turned anything but with the addition of some mirrored elements, perfectly blending in with the mirrored bench from the same collection.